Price Reduced. Spectacular Sundstrom Island. 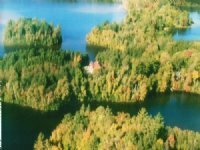 This island is located just off the southern shoreline at the western end of Lake Michigamme, which is found in west-central Marquette County. 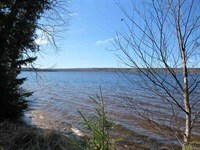 Lake Michigamme's name is derived from a Native American language word meaning "large lake." One of Michigan's largest lakes, it covers 4,292 Acres, has about 55 miles of shoreline, and it reaches a depth of over 70 feet. The vast majority of the lake lies in Marquette County, with only its westernmost part extending into Baraga County. The lake has about 95 miles of shoreline, is about six miles in length from east to west, and has a southern arm extending about another four miles. 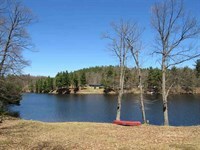 The lake has 27 islands, rock walls and beds, and bays of all shapes and sizes, and is popular for boating, canoeing, kayaking, sailing, waterskiing, and wakeboarding. A dam separates the Michigamme River from the main body of the lake at the end of the southern arm. The water leaves the lake as the Michigamme River and is joined by other streams until they become the Menominee River, which eventually flows into Lake Michigan. The Spurr River flows into the lake's west end and the Peshekee River flows into the lake in the northeast. The Peshekee offers a thirty mile trip for boaters and kayakers. Van Riper State Park and Van Riper beach are located at the eastern shoreline of the main arm, and there is a public access site to the lake there. Another public access site is available just south west of the Village, which includes a hard surfaced launch site, children's play equipment, beach, and camping area. Known for lots of challenging fishing. Common fish include Bluegill, Brook trout, Crappies, Lake trout, Silver and Tiger Muskies, Northern pike, Perch, Rock bass, Smallmouth bass, Walleye, and even Whitefish in the deeper parts. 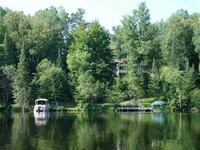 The Lake Michigamme area has many tourist resorts and motels. 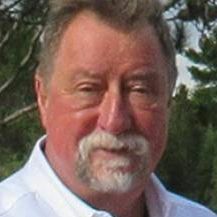 Tourists, Seasonal Dwellers, and Shoppers come to the charming Village of Michigamme which is on the north-western shore, for the many events sponsored by the local businesses and township organizations. Local residents and business owners volunteer their time to sponsor Memorial Day and Labor Day activities, parades, fund raisers, children's activities, and most known for the area, is the Super 4th of July Celebration. On the main street of town are gift/clothing shops and a fine art galley. 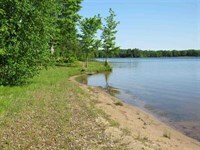 The Michigamme Township Park is located at the eastern end of the Village and has a Baseball field, Tennis courts, and Children's play equipment and bathing beach. Sportspeople are attracted to the four seasons of fun here - boating, fishing, swimming, hiking are popular in the summer and snowmobiling and X-Country skiing are available in the winter. This area is well known for Moose, American Bald Eagle and Osprey sightings. Hunters find this a great starting point for their trips into the woods. Wildlife seen in this area include Black bear, Whitetail deer, Beavers, Raccoons, Otter and Small game. 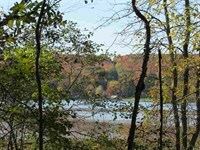 Craig Lake State park is nearby for rustic camping, backpacking, and kayaking. The Clowry-Nestoria Multi-use State Trail No. 8 for snowmobile and ATV fun is just across the Highway north of town. Off the shore of Sundstrom Island is a rocky drop leading to the flats that are close to shore where a rocky point and underwater piles make this one of the best year round fishing spots for Largemouth Bass, Walleye and Pike. 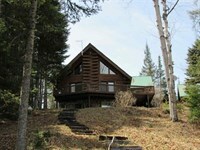 A 24x32 Cedar River Log Cabin is located on the island. 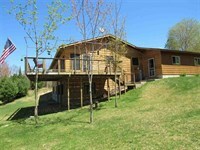 The first floor features a Living/Kitchen/Dining area, two Bedrooms and 3/4 Bath (lake water is used in the toilet). The second floor is made up of a 11x16 Loft Sleeping Area. A 6x30 porch and 12x30 deck wrap-around the cabin for reading, relaxing, and catching glimpses of eagles that soar above. 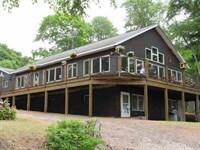 The grounds include a sand and pebble beach, a 9x11 Utility Building for storage, and a 5000 watt gas generator system. 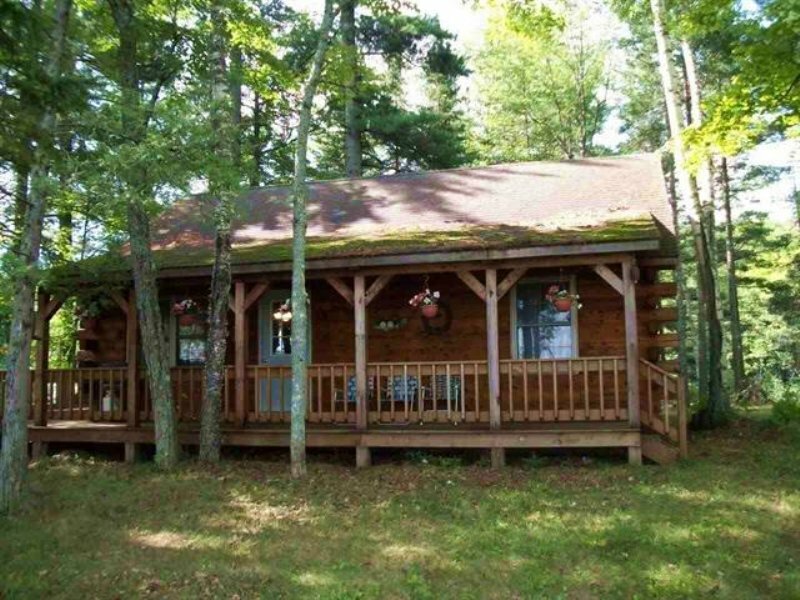 If you want your own island, this property cannot be surpassed. From the L'Anse Welcome Sign take US41 south 28 miles to Max Street in Michigamme. Take a right and go three blocks to Main. Take a right and go to end of street, to Mesnard. 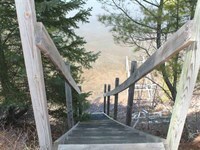 Take a left and go 1 +/- miles to the Michigamme Township Park. Take boat from launch site to first island along the southern shore. 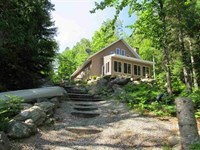 When calling broker, please say, "I found your listing Sundstrom Island, Mls 1091510 on LOTFLIP."